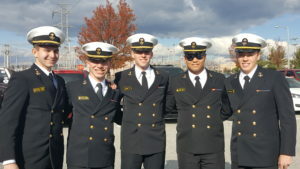 SPPA is the Southeast Pennsylvania Parents Association, a group of parents who provide support and camaraderie to each other during their children’s years at the Naval Academy. The parental task of helping, guiding and inspiring a son/daughter attending the US Naval Academy is different from a civilian college. Those that haven’t been there sometimes don’t understand how different. USNA Parent Clubs have been instrumental in parents helping parents during their son’s and daughter’s “four years by the bay”; from preparing for I-Day, managing the struggles of Plebe Summer, Summer block training and planning celebrations for Commissioning.